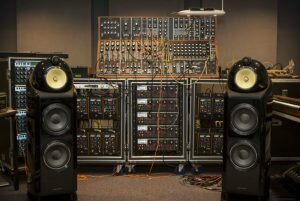 We are very pleased to announce that we will be spending 2 days in the Moog Sound Lab in Birmingham, courtesy of Supersonic Festival. We will be joined by Wayne Adams of Bear Bites Horse Studios to lend some extra knob twiddling hands on some fantastic Moog synths. 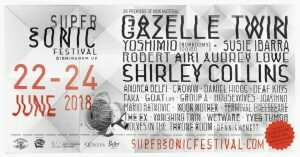 He will also be joining us as we perform at Supersonic Festival on Sunday 24/6.